Back in June, 2014 I wrote this to explain how Bitcoin and other cryptocurrencies were going to change the music business. A year ago, cryptocurrencies and music business were words that few people would put together (and those of us who did, were stared at as if we had a third eye). It’s amazing to know that as of today, there are more than three startups helping musicians unlock new experiences. Kudos to them for believing in this when no one else around them would. Anyways, this is what I wrote. An innovation that creates a new market by applying a different set of values, which ultimately (and unexpectedly) overtakes an existing market. How will Bitcoin and other cryptocurrencies change the Music Business? Sometimes high interest rates make us feel that we are being ripped off. But I guarantee you that there are plenty of people that would be happy to get ripped off just to have access to a financial system but of not have a chance. There are 4.7 billion adults on Earth but 2.5 billion do not have access to any financial system. Let that sink in for a second. OK, now the cool thing is that 80% of them have access to telephones. 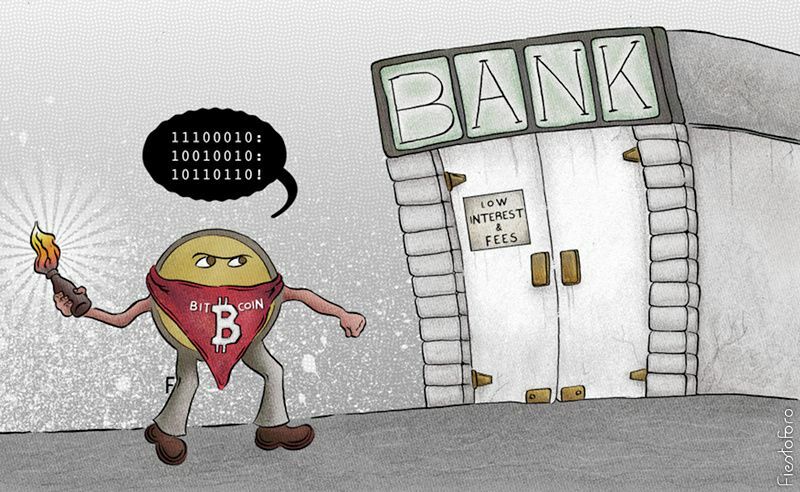 With Bitcoin they can have a bank in their pockets. Let’s take a look at this hypothetical scenario: a young engineer needs $1 million to invest on a new studio but interest rates are so high. (Oh, and a homeless man has better credit than him). The engineer can go to bitcoin lending sites such as BTCJam to get his starting capital and find the lowest interest rate online peers are willing to offer him. The more he uses BTCJam the higher his rating is going to be and thus the lower the interest rates he will be able to have access to. Transparent information from all over the world makes the lending process fast and efficient. Artists can have their own cryptocurrencies, called artist coins. These artist coins have the potential to help artists build relationships with their fans who financially back them as they create a prolonged bond. Normally when an artist decides to start a crowdfunding campaign a fan would back the project, get a reward and that would be the end of the story. This was more like a transaction. But artist coins help to make crowdfunding more like a relationship where fans who back an artist may get artist coins in reward, these coins would increase in value as the artist’s career progresses. This will allow the fan to be constantly aware of any of the artists updates. Artist coin holders might be offered a discount over an artist’s music and merchandise or might even be able to access exclusive content. Adopting cryptocurrencies is a chance for older artists to gain exposure in new markets made up of early adopters of younger demographics eager to use cryptocurrencies. These days labels are depended less and less as a source of capital and with cryptocurrencies that function of the label will further be minimized. New labels can be started with ‘label coins’, where interested parties invest money and are in turn given a number of ‘label coins’ plus the power to decide which artists to sign. As the label progresses, the label-coins increase in value and everyone benefits. New talent that chooses to join the label can be paid with the new ‘label coins’. Rhino Coin is a cryptocurrency by a decentralized recording studio which has worked with artists including Kesha and Ellie Goulding. Every month coin holders will vote for an artist who will be backed by the Rhino Community (from preproduction, recording to release of the record). These artists are allowed to keep ownership of their songs, and revenues from the previous month are paid in dividends to coin holders. The global music industry looses $1.25 billion with transaction fees. Just so you get an idea, with $1.25 billion you could buy Wembley Stadium. Cryptocurrencies will lower transaction fees the same way the Internet lowered the cost of data — it took it, made it open and bought costs down by a magnitude. When music is bought from online platforms ie. BandCamp. The check-out process has way too many parties involved in the transaction: an issuing bank, merchant bank, network (Master Card, Visa, etc), payment platform. I am not even going to get into privacy and identity theft issues but whenever you have so many intermediaries involved your costs shoot up to the sky. PayPal defines a micropayment as something less than $12. Credit cards were not designed for the Internet world, what is the last time you have spent less than 99 cents on a credit card? Credit cards will charge at least 15-20 cents per transaction, if your product is less than 50 cents that’s almost half of your revenue out with transaction fees. A micropayment for Bitcoin is 0.00000001. Yes, One hundred of a millionth of a bitcoin is the smallest amount you can send to someone. Imagine how is that going to change the way in which we get paid in the Music Business? What will happen to streaming services? You could stream by the minute or even by the second! You could try out a streaming service for an hour and then move to another if you wished! Like a post? A Music Business article you like? An artist with great music on Facebook? Scan the code and tip a fraction of a bitcoin! There is a difference between bitcoin and Bitcoin. bitcoin refers to the medium of exchange while Bitcoin refers to the blockchain, the technology, the protocol. Think of what the blockchain can do with digital audio, after all, it is responsible for recording transactions and preventing double spending. Imagine a scenario where someone purchases an mp3 file, the blockchain records the transaction and next time someone tries to resend/upload that mp3 file the blockchain labels the action as double spending and blocks it. From the internet we learned that there is no need to ask for permission to innovate. One thing invented for one purpose ends up serving another (viagra?). The same thing will happen to cryptocurrencies, at the end of the day we might not even use them as currency but as data transfer methods. So, it is worth seeing Bitcoin as the technology and not the currency. Bitcoin (note the upper case) will disrupt the music business , forcing people to learn about it, start accepting it and thus, creating further change…almost like a vicious cycle. So the point of all this is to create awareness. Keep your eyes open for new opportunities in the Music Business and when you find them, don’t ask for permission, just jump in!